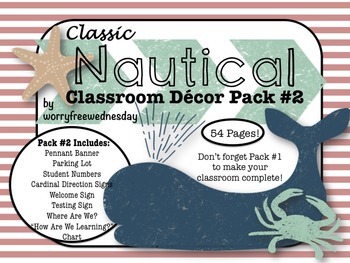 This pack pairs with Classic Nautical Decor Pack #1! EDIT: Number circles no longer have clip art. 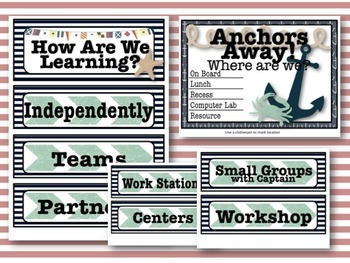 Cleaner lines and formatting on every slide! This 54 page pdf file prints beautifully. 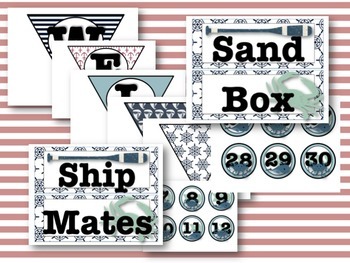 Laminate, cut, and you're ready to go! 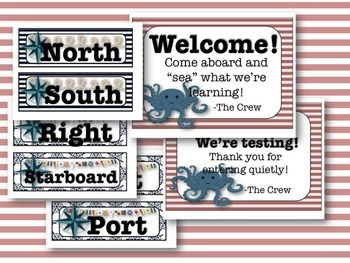 Please let me know if there is anything else you would like for your classroom in this theme!